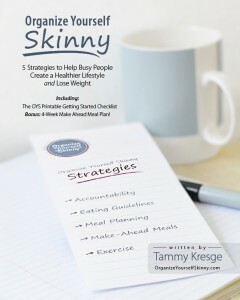 Tammy also inspired me to push forward with an idea I had been kicking around for awhile. I wanted to start my own blog. (Here you are!) She helped me clarify my ideas and gave me the gentle kick-in-the-pants I needed to get started. If you want to learn a bit more about me and what to expect here, please check out my About Cheryl page. A post that Tammy has on her site made me realize that the potential I believed a blog could have was really possible. I have discovered that it is not easy. There is a lot of work involved in making it happen and I find that challenge exciting! 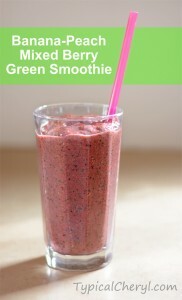 While looking at all the delicious recipes on OrganizeYourselfSkinny.com I keep finding ones I have to try! My little boys and husband have liked every one! So far we have tried Buffalo Mac and Cheese, Crock Pot Sausage and Peppers , Stuffed Pepper Soup (I used the leftovers from the Crock Pot Sausage and Peppers in it too) , Broccoli and Quinoa, Chicken Parmesan Casserole and Turkey Taco Meatloaf. Basically I just have to tell the kids “this is Mrs. Tammy’s recipe” and they kind of already love it – before the even try it! It is just the magic I need sometimes! I have also started making Overnight Oats more often (we loved the chocolate banana recipe). I even devised a pretty delicious Chocolate Raspberry Overnight Oats recipe myself. They make mornings so much easier because I have a filling, healthy and yummy breakfast ready for my kids and me as soon as I wake up. Can you spot which ingredient I forgot while taking these photos? 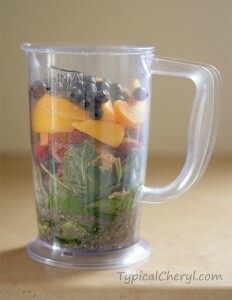 Using an immersion blender (like these) I blend it up and add more water if it is too thick. That is it! I drink about 14 oz and split the rest between my two boys. I have been known to make a bit more than we really want at one time and I have found (at Tammy’s suggestion) that it will keep well in the refrigerator. The texture does change a little, but it still tastes great. I think the flax meal and chia seeds help keep the texture pretty thick, which I like. I can’t tell you how long you can safely keep it because ours never last more than a day before it disappears! I add a lot of greens and you can NOT taste them. You can see green specks, but the overall color is not green. We enjoy knowing we are drinking something really good for us that tastes great too. It is an awesome way for us to amp up our fruit and veggie intake. Everything Tammy says in this article, I say ditto. Although I am not trying to lose weight, I am always trying to eat better, exercise more, drink more water and teach my children to eat a healthy variety of minimally processed foods. 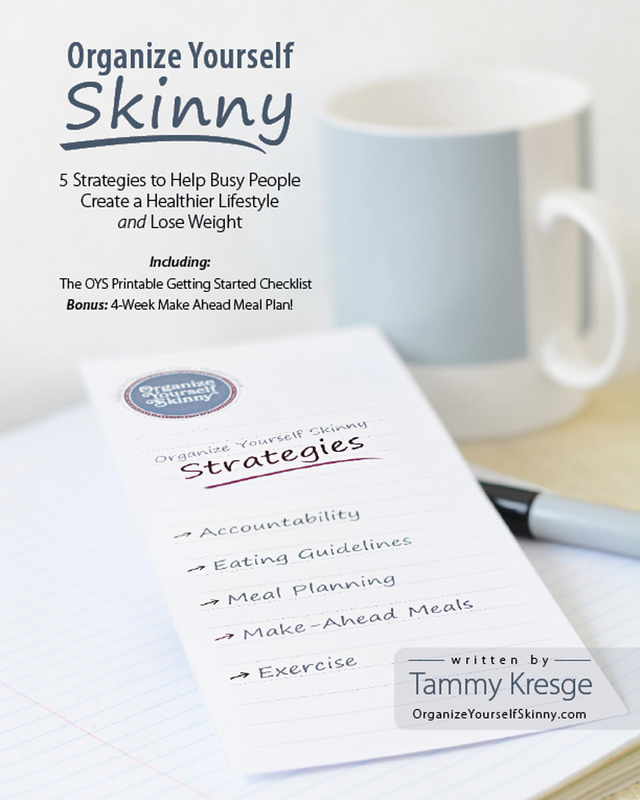 Working with Tammy and reading her posts are inspiring to me to create better habits. Her strategies for meal prep, make ahead meals, meal planning and incorporating exercise into every day are incredible tools for everyone to make it easier to eat healthy while taking some of the hectic rushing out of your day. Thank you for visiting me today at TypicalCheryl.com. Find me on Pinterest, Instagram, Facebook and Twitter. Please look around, come back again and sign up for my email list! Next Next post: Spring Nesting!